Snowy days are exhilarating to children and kids at heart. Sledding, making snow ice cream, and building snowmen–what’s not to like? 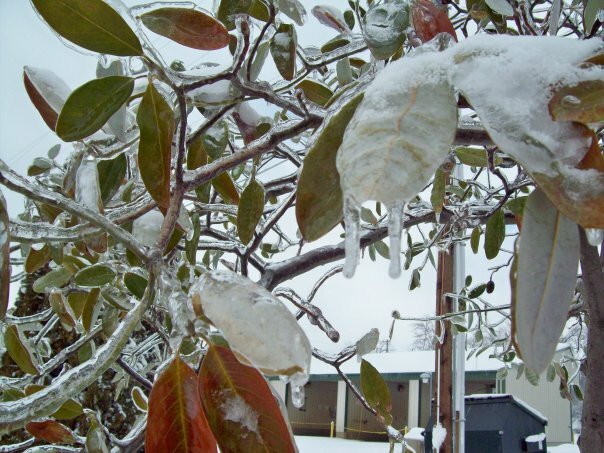 Here in the Southern Midwest, we often endure sleet and freezing rain. I like to think of ice as friendly snow’s evil twin. The dangerous beauty of an icy landscape enchants the eye and poses well for the camera. Ice seems to have a sense of humor as well. What was once statuesque bamboo has kowtowed to the frozen fierceness that is ice, partially engulfing our neighbor’s Chevy. So next time you’re “iced in,” break away from your novel or your Google search for Caribbean cruises and admire the icy artwork while it lasts. 1. Acclimate your camera for a few minutes before snapping photos to avoid foggy pictures. 2. Protect your camera from snow and other forms of precipitation by using lens filters and a ziplock bag to provide a barrier from damaging wetness. 3. 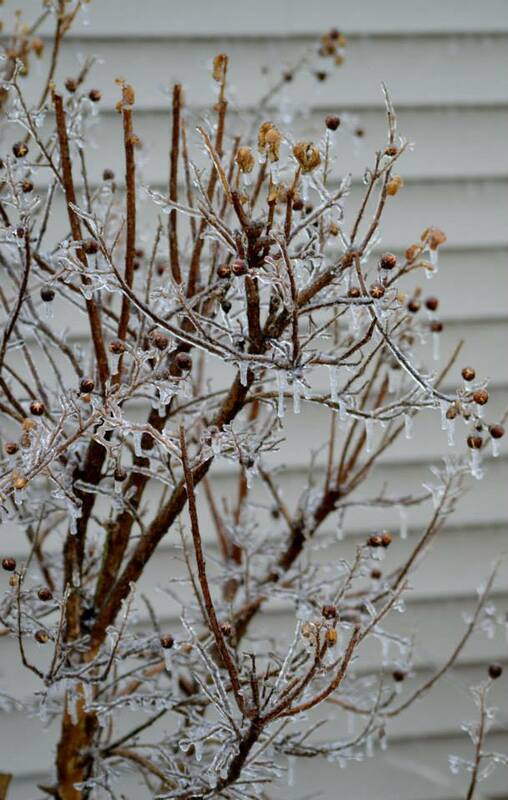 Find colorful or interesting ice-covered subjects to capture with your camera. 4. Experiment with different angles to find your unique style and a different perspective. 5. Slow down your shutter speed for a pretty effect when taking photos of snowfall. 6. Look for interesting objects frozen in ice puddles for creative photographs. 7. Wear shoes with good traction. Take your time so you don’t fall on icy surfaces.